Story blurb: Eros and Thanatos converge in the story of a glorious youth, an untimely death, and an imperial love affair that gives rise to the last pagan god of antiquity. In this coming-of-age novel set in the second century AD, Antinous of Bithynia, a Greek youth from Asia Minor, recounts his seven-year affair with Hadrian, fourteenth emperor of Rome. In a partnership more intimate than Hadrian’s sanctioned political marriage to Sabina, Antinous captivates the most powerful ruler on earth both in life and after death. About the Author: Melanie McDonald was awarded a 2008 Hawthornden Fellowship for Eromenos, her debut novel. 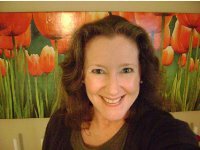 She has an MFA in fiction from the University of Arkansas, and her work has appeared in New York Stories, Fugue, Indigenous Fiction and other journals. She has worked as a reporter and freelance writer, and spent several months in Italy while at work on Eromenos. A native of Arkansas whose Campbell ancestors were Highland Scots, she now lives in Virginia with her husband, Kevin McDonald, author of Above the Clouds: Managing Risk in the World of Cloud Computing. Until I came across Eromenos by Melanie McDonald [Seriously Good Books, 2011] I had never before heard of Antinous of Bithynia, or his legendary affair with the Emperor Hadrian. Just how I could have missed such a charming page in history (referred to as the “real life version of Zeus and Ganymede”) I don’t know, but I am certainly grateful to Ms McDonald for introducing me to it in such an entertaining way. 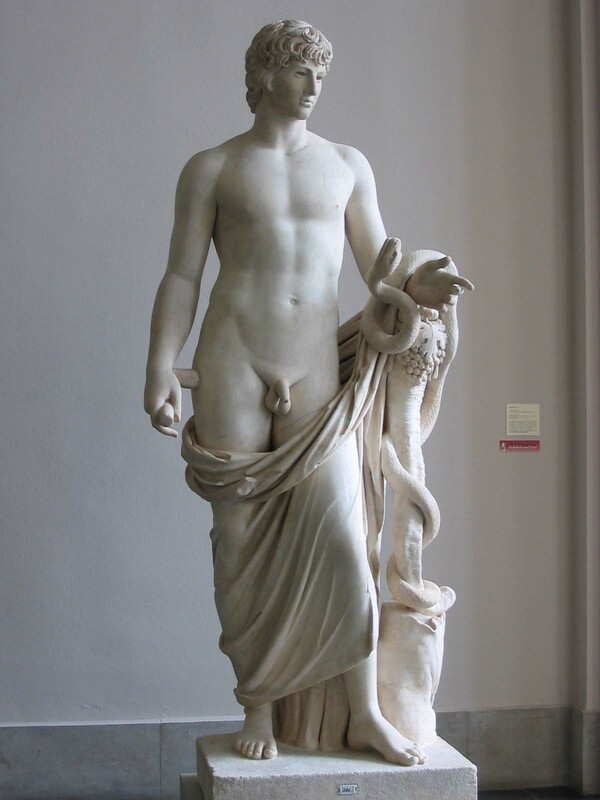 Antinous was born in the town of Bithynion-Claudiopolis, in the Greek province of Bithynia, and the story is told in his voice as a recollection. At about 12 years Antinous is sent to Nikomedia for his education, and it is there that he catches the eye of Hadrian on one of his many tours. With a ready eye for beautiful young boys, Hadrian invites him to join his imperial retinue as a page. This is fairly heady stuff for a farm lad from one of the Greek provinces, but even more honours were to follow when Hadrian asked him to be his personal attendant on a hunting trip, and eventually into his bed. As one might expect, however, being the catamite of a living god had its ups and downs, as Antinous would soon discover, for Hadrian was by profession a general as well as emperor, and thereby firmly in command of everyone around him. Nonetheless, Antinous somehow learned to cope with the vagaries of both the emperor and the imperial court for some seven years. Nevertheless, as he approached manhood (around 19) he began to realize the he could no longer be Hadrian’s lover because of public opinion and because Hadrian preferred younger boys; therefore, Antinous decided to sacrifice himself to the gods and the man he loved. At least that is how the story goes, for no one really knows for certain. “One may well wonder why a young and vibrant man would sacrifice himself for his Emperor and for Rome. There is the obvious answer that people often do strange and illogical things for love. Antinous may well have believed that he would win immortality in the waters of the Nile and hence may not have seen his death as an end to his life. And, although there is no direct evidence that Antinous was suffering from a depression, he had to have realized that he was passing the age of eromenos. Within a year or two at most Antinous would either have to give up his position as royal favorite or accustom himself to the condemnation, “pathetic.” Whatever would become of Antinous after his decline from favorite could only be a lessening of position and if he truly loved Hadrian he would undoubtedly be alarmed at the prospect of ending their relationship not only for reasons of status, but for reasons of the heart. Or, perhaps, Antinous had simply grown to feel shame at his position and was driven into the waters with a sense of helplessness and lack of self worth that could scarcely be considered rare in teenagers of any time period.” http://ladyhedgehog.hedgie.com/antinous.html#antinous. The days following Antinous’s death brought great emotional upheaval and strain to the emperor. 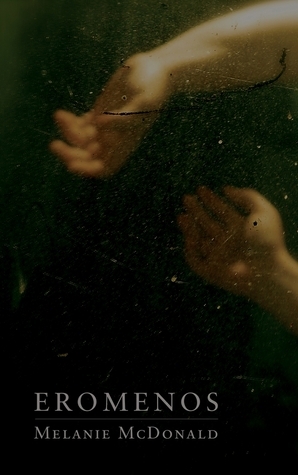 Trudging through a despair and sense of guilt, Hadrian’s first impulse was to follow his beloved into the otherworld. 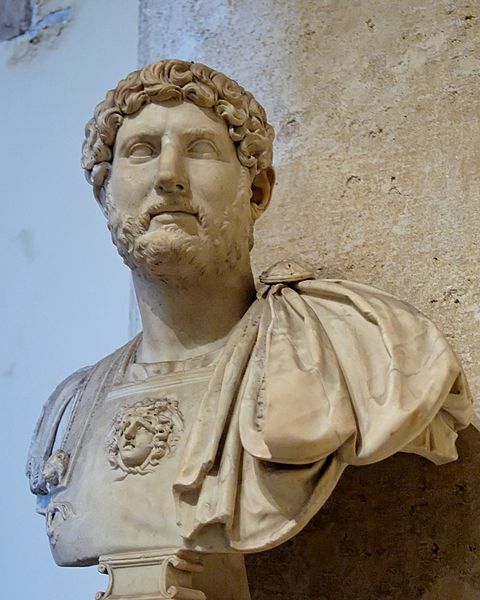 However, Hadrian was emperor and his life was not really his to give, and so in compensation he declared Antinous a god. For whatever reason Antinous entered the waters of the Nile, therefore, he did obtain a form of immortality. Had he passed quietly from his role as favourite he may well have disappeared from history, but with his death and Hadrian’s response to it, he was assured a place in future remembrance—such as this book. This novel is a textbook example of how historical fact and fiction should meet in a seamless, agreeable balance, so that one does not outweigh the other. 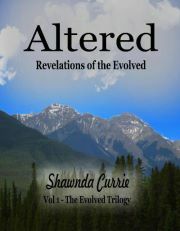 Moreover the characters are well developed, and as far as I could determine, historically accurate. I rate is fairly-well faultless. Five bees. 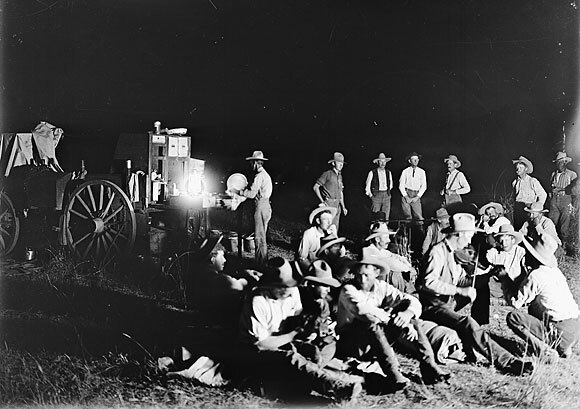 Probably the most anticipated time on any cattle drive or roundup was relaxing around the campfire. After a long hard day of riding–usually ten or twelve hours in duration–it was a time of socializing with tall tales, gambling and music. Such a venerable institution didn’t vary wherever cattle and men were brought together, and so Cory and Reb enjoyed the campfire as much as any on their trek North to Dawson City, Yukon. Thanks for dropping by. Your participation is an honour I hope I’ve earned. As I say in my review, it is the first time I learned of Antinous and Hadrian. It is a fascinating story, and I have joined the “Ekklesia Antinoou” group as well.